These are the things that people struggle to maintain when war comes home. 11 bit Studios has created a game, This War of Mine, that allows you to experience the horrors of war from the perspective of a civilian. 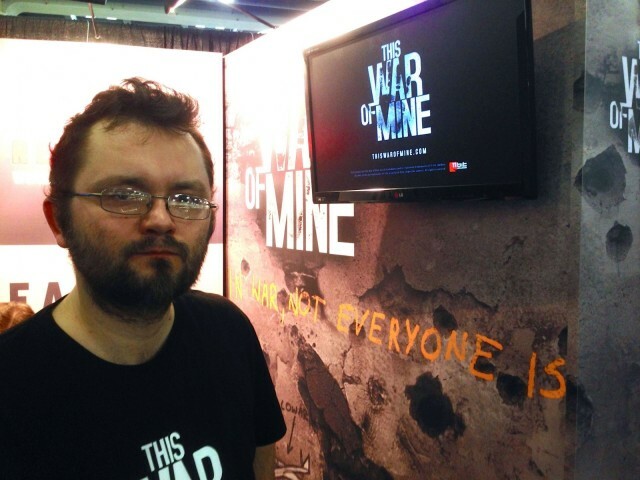 Senior writer Pawel Miechowski told Cult of Mac that This War of Mine is the most important game he’s made. Games, he said, are finally an art form with enough maturity to tell these kinds of important stories. “We are allowed to speak about important things,” he said, with obvious passion. The team researched many recent conflicts all over the world, like the ones in Sarajevo, Syria and Libya. Sarajevo itself was one of the most well-documented conflicts,a nd informed quite a bit of the game itself. The game build Miechowski showed us started the day with three civilians hiding out in a shelter. Eventually, he said, you’l be able to put your own pictures and pictures of your friends into the game. Each character has different strengths and weaknesses, just like in real life. One character was strong, but slow, another is a good cook, but weak. 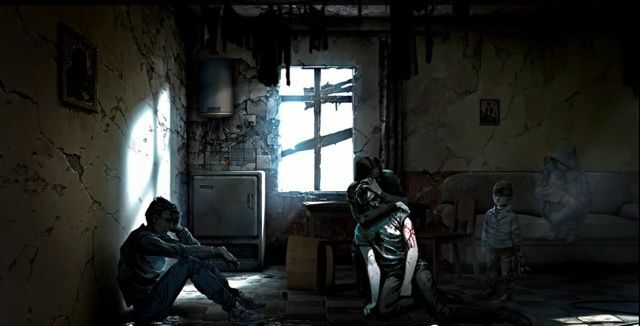 You’ll need to scavenge areas in your shelter, outside, and in other buildings, staying out of sight and interacting with other AI-controlled players who may or may not be friendly. You’ll collect materials to make things like beds, crowbars, rainwater collectors, and stills to make moonshine. Over time, your characters will become tired, sick, or wounded. Sometimes all three. “The game is difficult,” Miechowski told us, “because war is difficult, surviving is difficult. Have You Seen This Flappy Guy? That’s Dong Nguyen, the elusive creator of a little game called Flappy Bird. We’ve been trying to say hello all week here in San Francisco, as he’s kind of a big deal. Nguyen came to public attention after his addictive yet unforgiving bird flapping game went viral this past February. 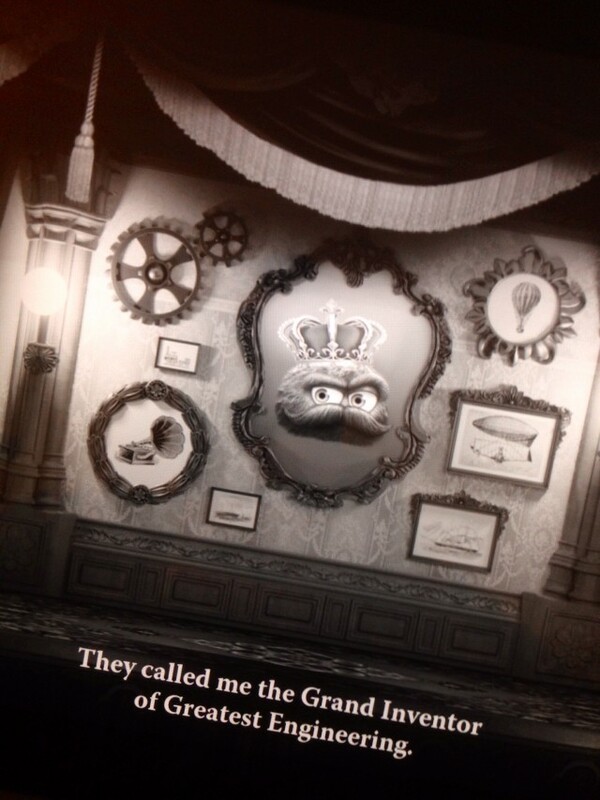 He subsequently pulled the game from the various app stores, tweeting his discomfort with the attention and potential disruption of the lives of the kids who played his game. 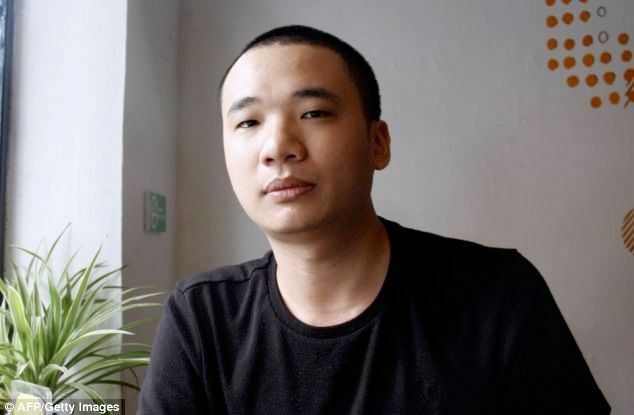 Nguyen was spotted on a yacht party this past Thursday, ostensibly for the Global Mobile Internet Conference, and became the focus of attention for hundreds of guests. Does anyone have any invites for the next yacht party Nguyen will be at? 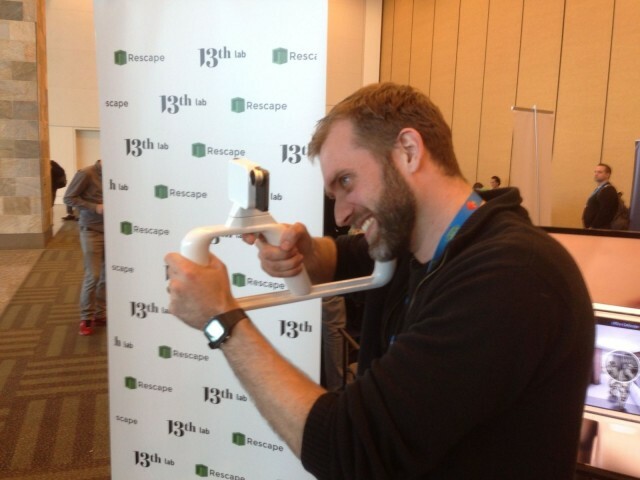 Of course, the Game Developers Conference we attended this past week in San Francisco is far more than just a hit-game maker spotting challenge. The over 23,000 attendees come from all corners of the games industry–lone, bearded indie developers rubbing shoulders with lesser-known industry luminaries, public relations representatives desperately connecting Chinese gaming companies to potential US distributors, and us press-types, sallow and hungover, waiting in the wings to detail it all. This is, according to Brenda Romero at her panel on woman and diversity in the games industry called #1ReasonToBe, “the biggest and most important gaming conference around.” It’s the one place where people can get together and delve into the craft of games, the design, development, distribution, marketing, and analysis of video games, one of the biggest entertainment markets there are. So, Mr. Nguyen, if you’re out there, we’d love to chat with you. We’ve got our eyes up while moving through every crowd, up every escalator on the show floor, in every fancy hotel lobby bar we go to meet the rest of the thousands of game makers who call GDC their second home. 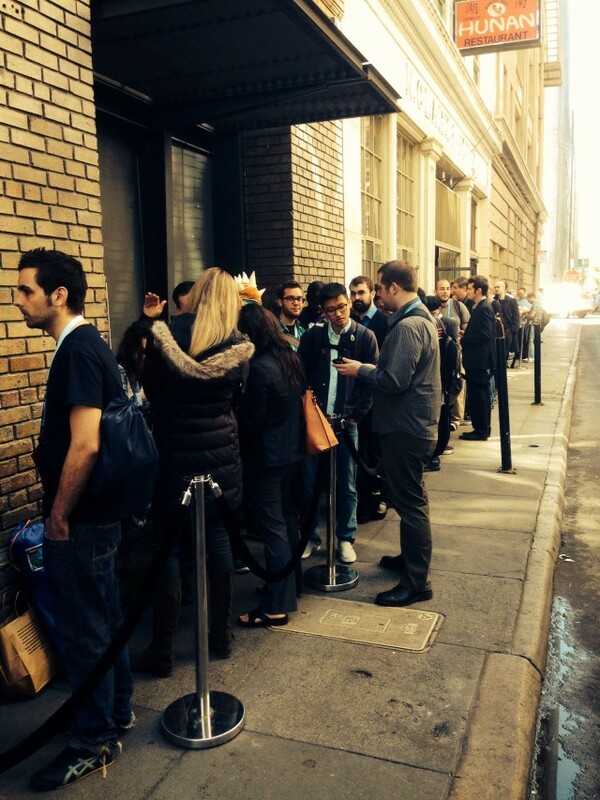 Hopeful indie developers, iPhones and iPads in tow, line up on Minna St in San Francisco for the Big Indie Pitch, the second annual GDC event where tables of press judges get to hear a short, five minute pitch on the devs’ latest games. 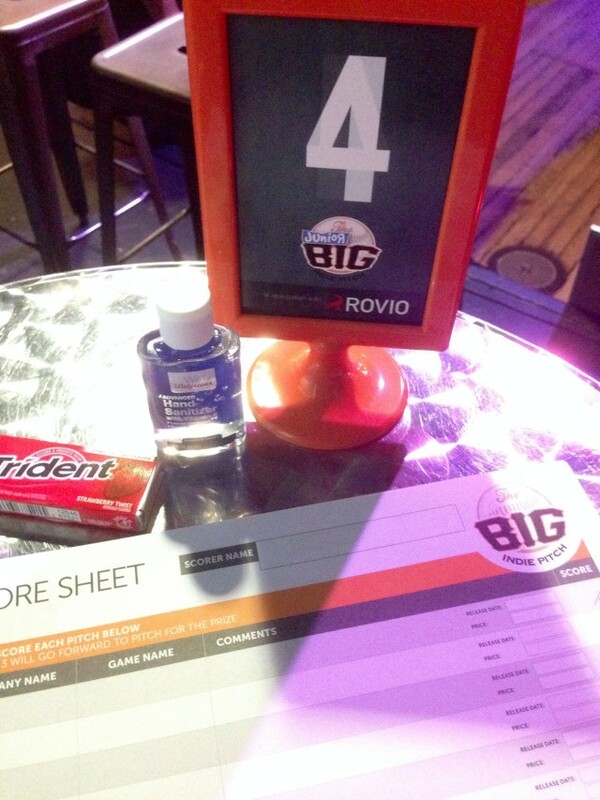 Cult of Mac was invited to the event–sponsored by Rovio and Immersion–to be a judge; things should get under way soon. Imagine slamming your way through dense thickets of alien monsters, hell-bent on killing you with their various energy, projectile and melee weapons. Then imagine killing them all and rising through the ranks to fame and glory using only your one hand. Imagine what you can be doing with that other hand, right? 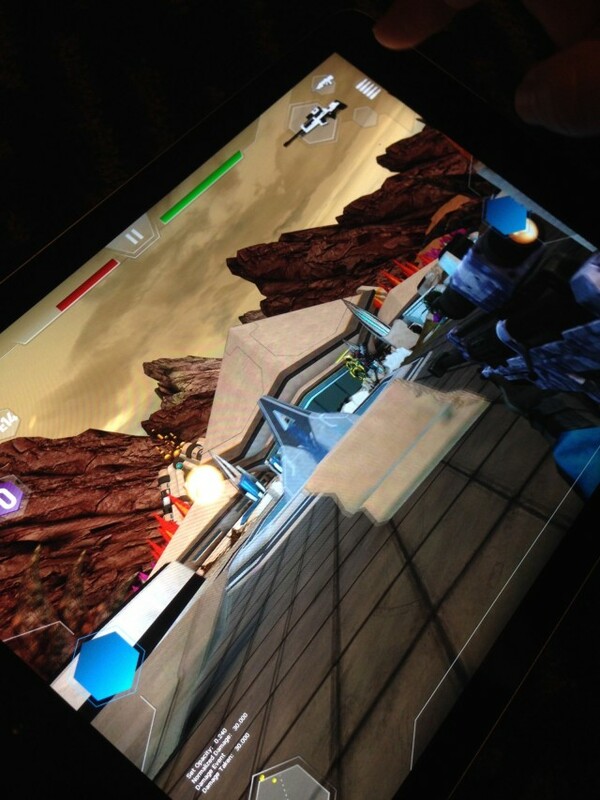 We met up with Tim Harris and Alex Seropian of Industrial Toys Wednesday evening, and they showed us the actual gameplay of their hotly-anticipated upcoming core game for mobile devices, Midnight Star. The game (episode one of a planned four) will launch later this year, preceded by a stunningly illustrated digital comic book in which the choices you make will carry through to the game itself. Did you stay to help your teammates or run away when the excrement hit the fan? Your fictional crew will remember when you see them again in game. Speaking of game, Midnight Star has plenty of it. 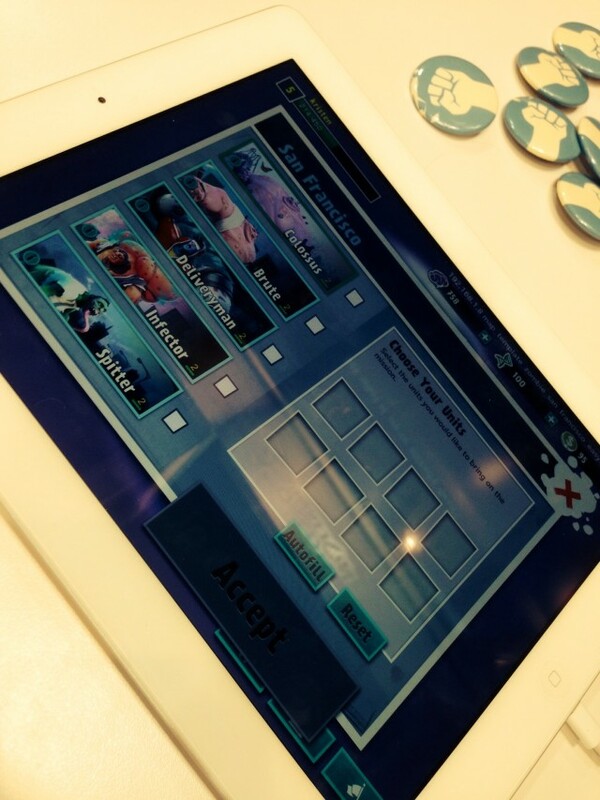 The shooting controls are tight and usable with only one hand, built from the ground up for a touchscreen device. Pinch to zoom in and auto-target a charging alien, headshot another with a quick tap. Fire your automatic weapon (easily switched to with another swipe) with a tap and hold, and drop a second finger to the screen to put up your shield to keep the alien weapons at bay. There are so many deep subsystems here, it’s hard to track. There’s the asynchronous battle challenges that you can create yourself and then send to your friend list, the multiple skill trees and weaponry customization systems, and the deep backstory penned by celebrated science fiction author, John Scalzi. Be sure to keep an eye out for the digital comic and then the Midnight Star game as they both release later this year. Pick your side in this faction-based strategy MMO from developer Proletariat Games. World Zombination is an upcoming iOS game that includes hordes of zombies and the humans trying to protect the world locked in battle across asynchronous but linked world maps. We played as the zombies, spawning massive crowds of the undead, and then mutating a special few to bigger, badder monsters with special powers. Over time, you’ll level these uber monsters up, allowing you to wreak more havoc across the levels. At the same time, your friends can be setting up the human defenses in a tower-defense type game style, trying to keep you from destroying the world. Look for World Zombination to launch late summer or fall on your iPad or iPhone, with an Android version coming soon after. 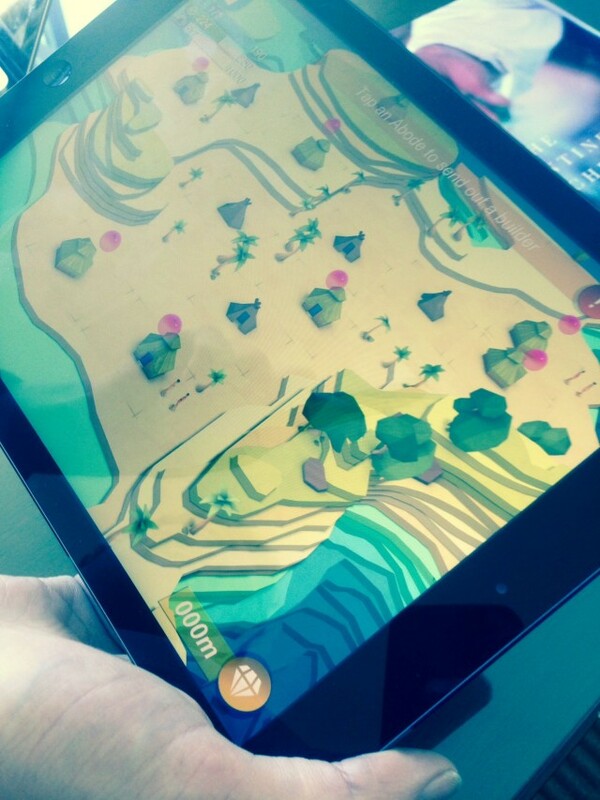 Godus is the upcoming game from god-game specialist designer Peter Molyneux. The game will play on Mac and iOS seamlessly, letting you create and nurture your own little island paradise on one platform and then watch it happen on the other. As is his wont, Molyneux is thinking big. Godus will have an always connected universe of over 50 million player gods who will help manage over one trillion follower characters on a planet the size of Jupiter. The goal here, said Molyneux, is to make this kind of game accessible and easy to learn, but provide endless amounts of depth and customization. Jack Attridge, sitting with Molyneaux in the posh hotel room in San Francisco on Wednesday morning, took Cult of Mac through a quick tour of his own private island, showing off the easy landscaping (just touch and drag to form new land formations) and the belief points that you’ll earn as a benevolent deity in the game. The little folks are named after people on your Twitter and Facebook feed, which is easily connected to within the Godus game. The gameplay is quiet, gentle and subtle, which seems to match Molyneux’s quiet though passionate British-accented speaking voice. Godus is a game the 22 Cans team want you playing long after the first rush of excitement at a new game, and they’re hoping to monetize it ethically, making it free to download, but it will offer gentle ways to enrich your play with in-app purchases and interactions that–hopefully–won’t burn out the player base any time soon. “Internally, I like to call it an ‘invest to play’ title, to make it nice to our players,” said Molyneux. Attridge dragged his finger around the iPad screen, sculpting the land to allow followers to get from one area to another. Tapping on the little houses encouraged people to come out and build new houses on available landscape. Adding trees was as simple as choosing them from your god-like power screen and tapping on the ground, anywhere you like; the saplings will then grow over time into full trees. Godus is available now on Steam via the early access program, but it’s not interconnected yet; the team is waiting for the iOS launch to make that a reality sometime in mid-April of this year when they soft-launch the game in Sweden, Denmark, New Zealand, Ireland and the Philippines. What a nice way to pass the time; we’re looking forward to spending ours in this new world from one of the most fertile minds in the gaming industry, brought forth by the talented team he’s surrounded himself with. Toy Rush is a tower defense and offense game that lets you build a base to defend against your friends, and—naturally—build up a force of violent toys to attack their bases. It’s an interesting game with fixed-path tower defense, Clash of Clans-style asynchronous multiplayer gaming, and a collectible card system that nets you power-ups better toys, and cool defensive towers to place around your base. Toy Rush has, so far, 50 single-player missions to let you learn the best strategies for base defense and tower offense, and then lets you head out into the wild and wooly world of the internet to challenge and best your friends and other players. Toy Rush will launch as a free-to-play game in early May as a universal app (plays on iPhone, iPad, and iPod touch) with daily challenges to keep you coming back for more. You and your Kingdom have been cursed with a sleep spell and it’s up to you to work with wizard Pliskin to save your parents and sister along the way. This rag-doll-physics free-to-play iOS game gets you dragging the poor sleeping prince though a ton of fun, whimsical levels, collecting magic gems to fuel your travels. As you rescue new characters, you can use them to play each levels. The game targets a younger audience, but has enough depth to entertain their parents as well. 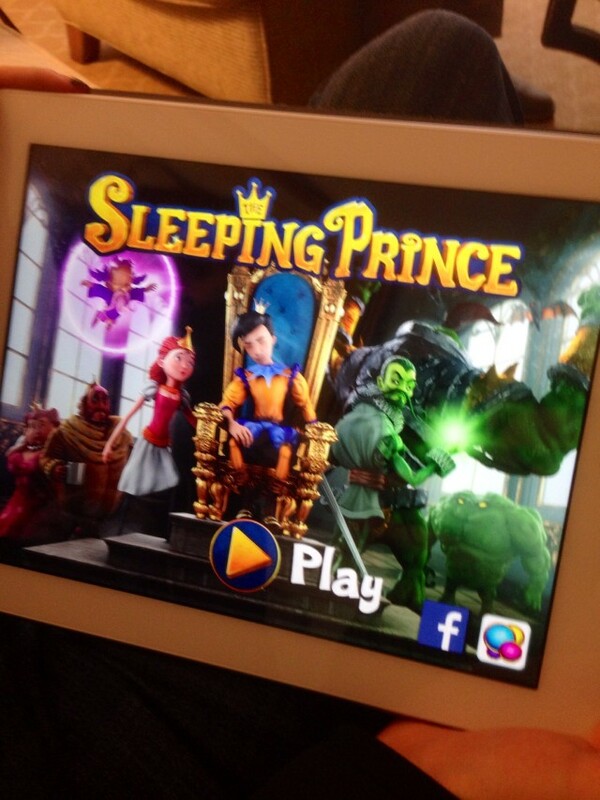 The Sleeping Prince is set for a late April release with a global launch on iOS for iPad and iPhone. It’s coming soon to Android, as well. Here’s an adorable physics platform game with a mustachioed puffball protagonist, Leo, who’s out in the world looking for his stolen gold, hoping to get back in time for supper. There are 24 gorgeous levels to Leo’s Fortune , which will be a paid game to launch mid-April as a universal app on iOS first, with an Android version to follow. 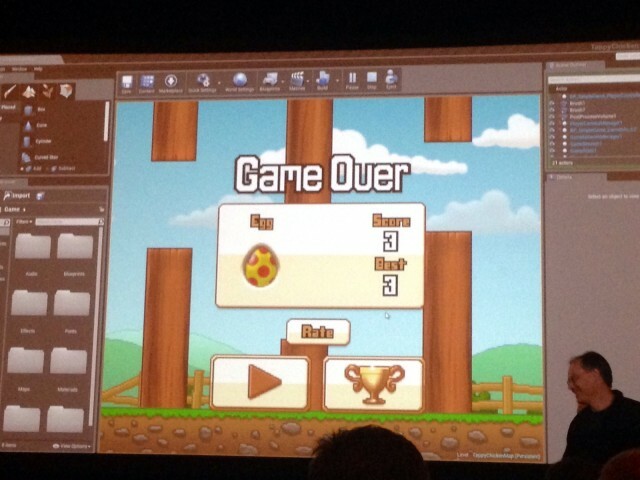 Designers who don’t even have coding knowledge can make a simple game like “Tappy Chicken” in the new Unreal Engine 4. Tim Sweeny, head of Epic Games, took the stage Wednesday morning to talk about the future if his video game creation engine, Unreal. The new direction of Unreal, he said, is driven by all the new exciting developments in technology, platforms (including Apple’s iOS), and distribution like Steam. He showed a crisp, high-definition cinematic trailer made in Unreal 4, something that would look right at home on any current theater screen. To show how easy it is to use the Unreal 4 engine to make these kinds of game experiences, the team ran through a quick demo in the development application itself. Game designers, they promise, can drag and drop entire settings and environments with a few days of learning. The engine, says Sweeny, isn’t just for triple A developers, but even smaller teams or individuals who want to make smaller games, like the coding newbie or high-end Minecraft player who wants to make their own games. To achieve this, Epic will let anyone Accra the engine with a $19 per month subscription, which gives you complete access to the engine in Mac or PC, and will let you output the code to Mac, PC, iOS and Android–great news for indies and younger developers! 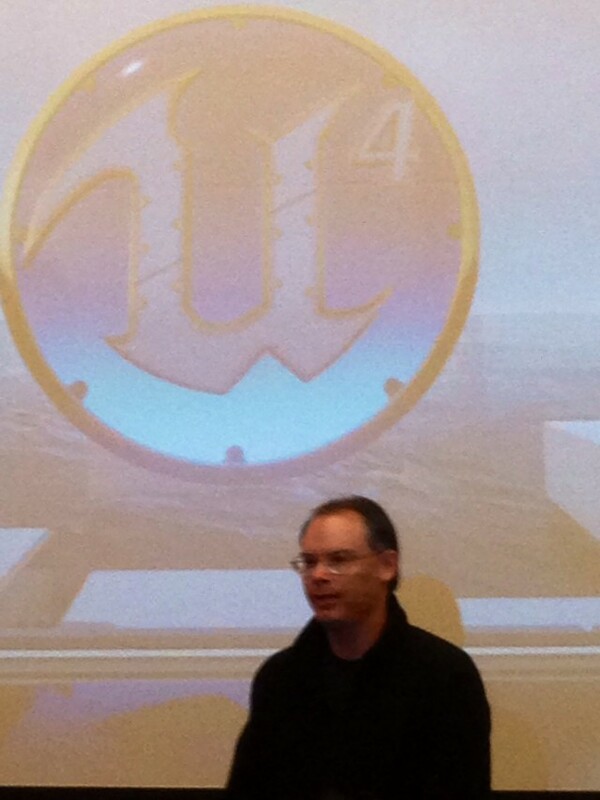 In addition, Epic will release the source code for Unreal Engine 4 to anyone. It’s the open-source model of software distribution, married to an affordable subscription model. Ten speakers, each given five minutes to talk about whatever they’re thinking about, what inspires them, in the independent video game community. The diversity of perspective in this talk is a welcome change from the usual discourse on gaming. 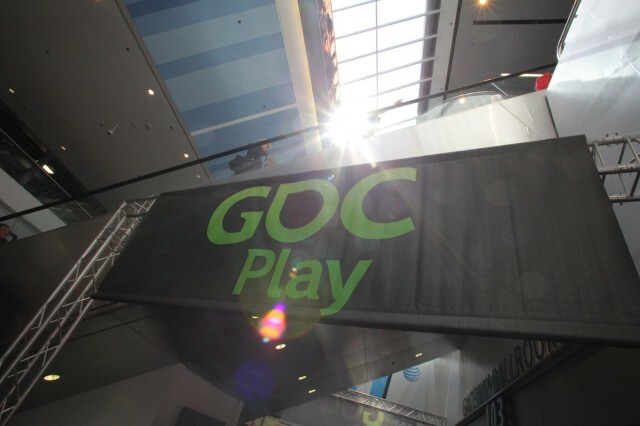 A group of independent game developers got together on Tuesday afternoon at the Game Developers Conference in San Francisco in a panel session called the Indie Soapbox. The group of designers, including Zach Gage (SpellTower), Robin Hunike (Journey), Zoe Quinn (Depression Quest), and Ryan Clark (Crypt of the Necrodancer) took turns talking about the frustrations and joys of being an independent developer of games outside of the major studio system. Here’s a list of the speakers along with their main points. Kert Gardner makes indie game trailers. He said that more and more developers, including himself, are having babies. How will they manage the demands of family life with the intensity of game development? He thinks it’s possible. Zach Gage sent a video due to a family emergency that required he fly back to New York. He talked about the last year of independent gaming as one of advocacy and expansion. He said that games represent the kind of friends we want around us.Spelunky, for example, is the cool kid introvert anti-social underdog that we all like to hang out with. Ryan Clark got a huge holler from the crowd when he stepped onto the stage. He spoke about the connection between game design, psychology and human evolution. Minecraft, he said, is successful because it connects with the anthropological and evolutionary benefit of learning how to overcome a hostile environment. What other human issues could be made into games? Loss Aversion? Fear of the Dark? Lea Sconfelder talked about perfectness today via her game called The Perfect Woman. Is it at all desirable to be perfect? What is perfect to you may not be what is perfect to me. Ethan Levy spoke about the indie shame spiral, how he experienced it both as an independent game designer but also as a sometime freelance consultant for freemium match-three games. Shawn Alexander talked about why culture matters. In his quiet, gentle voice, he spoke about the lack of minority representation at GDC. He was denied a spot to talk about minority voices at the conference in favor of sales and marketing talks, so he came to speak at this session. He spent the rest of his five minutes calling out developers that he feels are important, and ended with some suggestions to balance the playing field at GDC. Zoe Quinn spoke about internet harassment, something she’s recently experienced as the developer of Depression Quest. Harassment is a tough subject, she said, and not easy to talk about, but it needs to be. We cannot ignore or deny internet harassment any longer, as the internet is our workplace. Quinn surveyed over 300 people who admited to harassing others on the internet. Most of the reason they quit, she found, had to do with the humanization of their targets. Ending the session, Journey developer Robin Hunicke said that she has been thinking a lot about feelings. Feelings are important to game design, she said, and the best place to start when making games. Her slides showed one word at a time (desire, longing, illicit, intense, lust, passionate, unrequited, unattainable, crush, butterflies, romance) on a gentle gradient color. She wants to see more games that approach these traditionally ignored subjects for video games. Imagine a neon-blue, dark, sci-fi world. 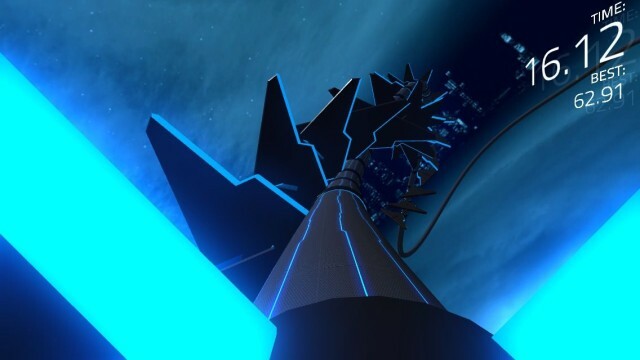 There’s a little bit of Tron here; it feels like you’re riding a tube road deep into the heart of the master control program on a fast light cycle, trying to avoid the obstacles thrown your way at every turn. Unpossible is a new iOS game from Bryan Duke, the creator of hit game Air Hockey. Duke is a pilot at his day job, and it shows in every procedurally-generated curve, every sharp wall thrown in your way. 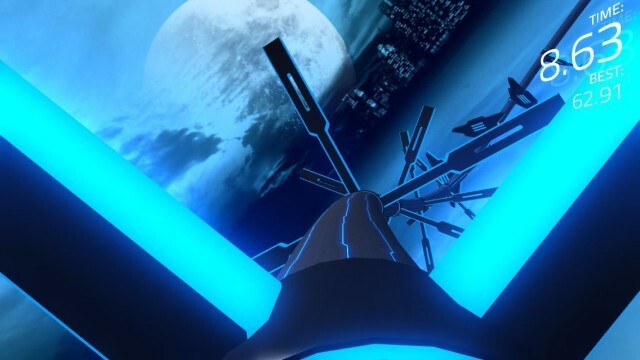 It plays like a cross between a flight sim and a Wipeout game, with three levels of discouragingly-named difficulty: Simplicity, Futile, and Ultra. Seriously? Ultra is some crazy fast, super twitch nightmare that even Duke had trouble playing while talking. The game has been a year and a half in the making, and Duke says it’s the game he’s always wanted to make. This tube racer was inspired by games like Boost 3D, which came out to modest success in 2009, Super Hexagon, Terry Cavanaugh’s fever dream of abstract difficulty, and—interestingly—Limbic’s Nutz, in which you run a squirrel up a tree. What all of these games have, besides a brutal, almost gleeful difficulty, is a sense of fairness. They all feel—Unpossible perhaps even more so—utterly fair. When you hit a wall in this game, you know it’s your own damn fault. The controls are spot on, riding that sweet spot between responsive and wildly over-twitchy. It’s quite an achievement, and something you’re going to want to take out for just one more spin each time you play. Stay tuned for a full review when Unpossible comes out in about a month. Some of the luminaries in mobile gaming got together at an early breakfast meeting Tuesday at GDC To talk about current trends in mobile gaming. Folks from data companies App Annie and Chartboost sat in on a panel with people from gaming engine Unity and publisher/developer Pocket Gems. 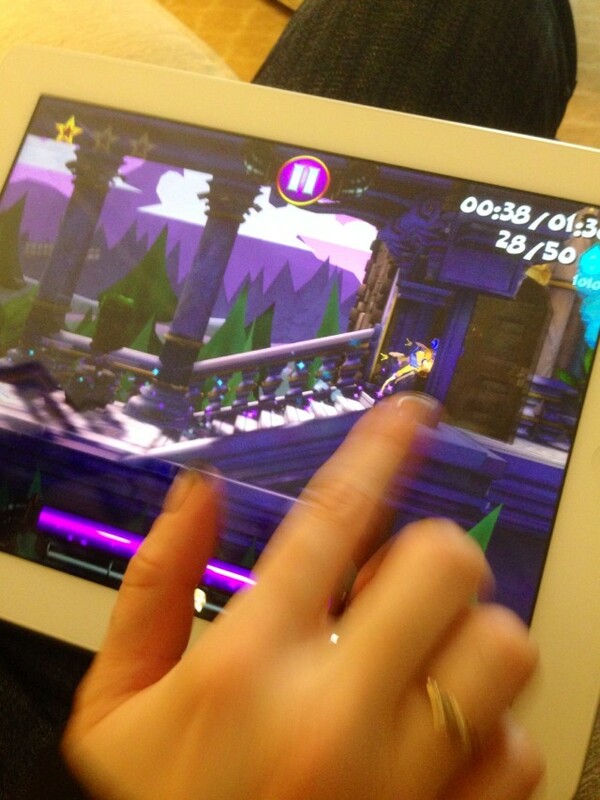 Over 65 percent of the app downloads in the world are game downloads, across the App Store and Google Play. 90 percent of the revenue generated from mobile gaming is from a freemium business model, said Bertrand Schmitt, CEO of App Annie. Ben Liu said that the next level of gaming innovation will likely be more in the technical arena, as platforms and tools will make games more photorealistic, 3D, and have better real-time social communication. 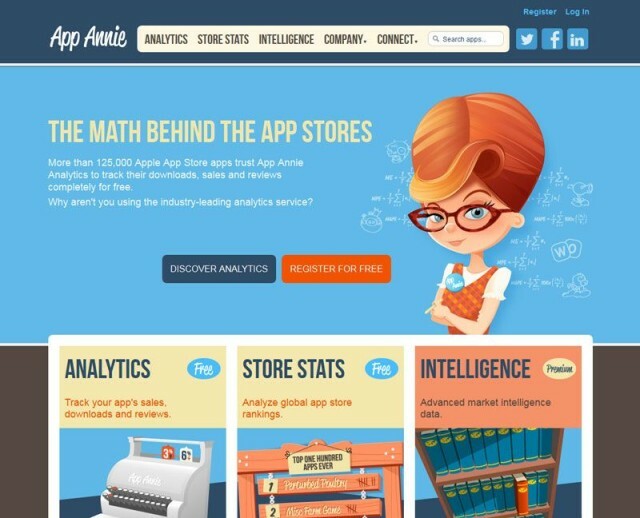 The biggest problem in mobile is app discovery. Getting people to find your game is difficult in such a crowded market. Unity CEO Dave Helgason says that the next move in discovery is sharing video replays on places like Twitch TV, a strategy that console makers like Sony are already supporting. 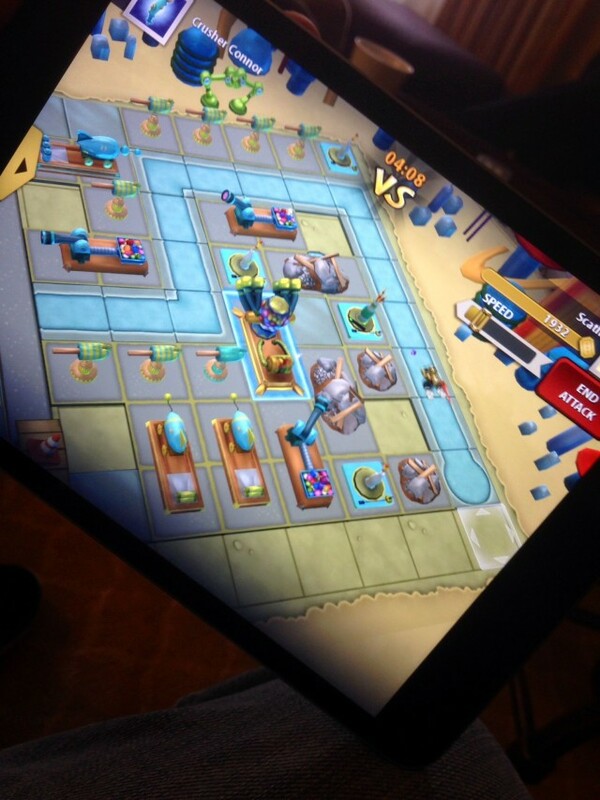 No matter what, it’s surely an exciting time for mobile gaming. As Pocket Gems’ Liu said, we’re going to start seeing games that aren’t just inspired by games on other platforms, but more games designed directly for the advantages of the touchscreen devices we all carry around. If you’ve been able to play with a PlayStation Vita, you know that it has a touch sensitive back, letting you tap on the back of the device in games; it’s like having a bunch of buttons on the back. Sensus though adding touch sensitivity to the sides and back of the iPhone would let developers bring this kind of control mechanic to the device we’re more likely to have in out pockets. The team has made a software development kit (SDK) available for free to qualified developers in hopes that they’ll then add the tech to new games, making use of the feature to enhance your game experience. 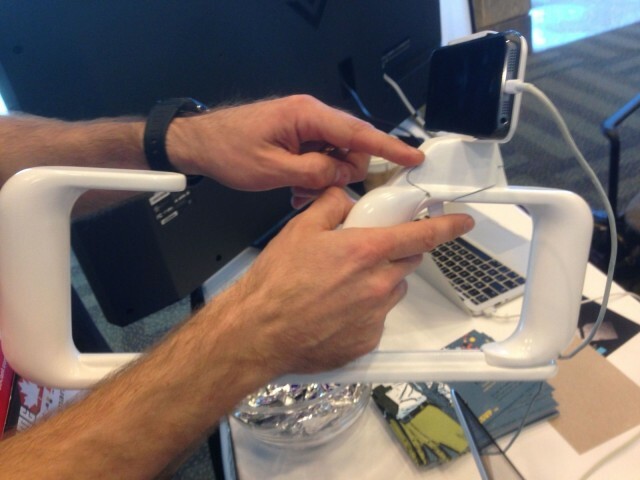 I tried it out, and was able to make all ten of my fingers register on the system, which places touch-sensitive material on the back and sides of a iPhone case. This type of tech could surely bring a lot of richness to iPhone (and hopefully iPad), letting games have new abilities and keeping your fingers off the front screen, a constant complaint from gamers coming to iOS from a console world. 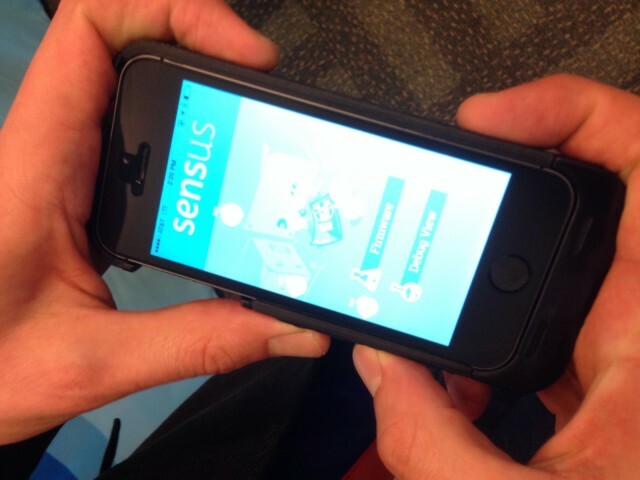 The SDK and hardware dev kit can be applied for at the Sensus website. 13th Labs is a computer vision technology company, and they’ve just put together a new bit of tech, based on the NASA Mars Rover camera systems, to give you unparalleled fidelity and immersive gameplay in first person shooter games (FPS). The team has created these gun-like peripherals that pair with an iPhone, along with a wide-angle lens to make the reality mapping more authentic. The software then records the world around you, and then maps 3D images on top of the video feed, letting you, say, turn your co-workers or friends into battle targets and compatriots. The 13th Lab Kickstarter started today, and they’re looking for $150,000 to make this a reality. You can see more details at the Rescape Kickstarter page. Rumble showed off two amazing games today at GDC, both of which prove once again that browser-based games can be just as great as their native brethren. KingsRoad is a Diablo-style hack-and-slash RPG game that has you running through dungeons, gathering loot and leveling up one of three character classes: Knight, Ranger or Wizard. 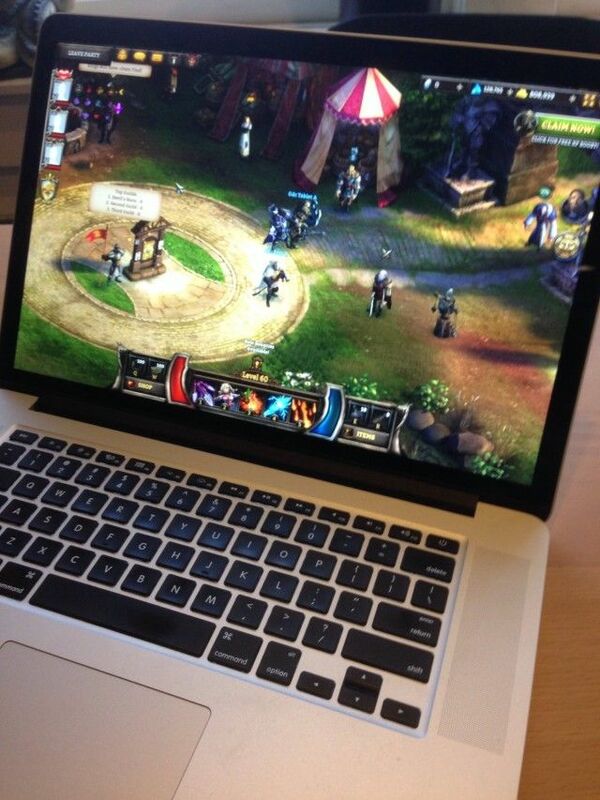 It plays smooth as silk right in your Mac via a web browser on Facebook or gaming portal Kongregate. Ballistic is a free-to-play first-person shooter with gorgeous graphics and some cool mechanics borrowed from multiplayer hits like Halo and Team Fortress 2. 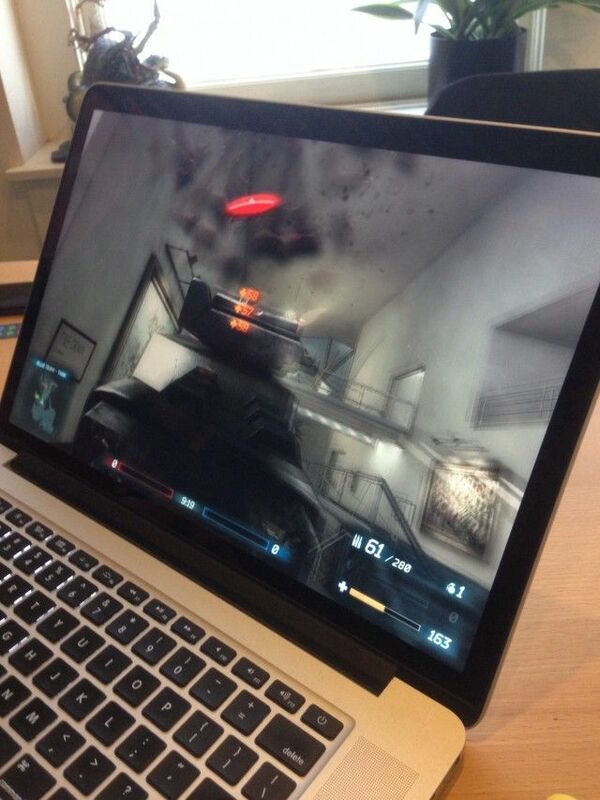 You’ll get to play one of seven classes across five different maps. Each game looks and plays like one you’d find on your Mac or on an Xbox console: Animations are fluid, controls are responsive, and you’ll honestly forget you’re on Facebook when you maximize the screen to fill your whole monitor. Both games are live now, just search for Ballistic or KingsRoad in the Facebook search field. One of the many cool things at GDC is the post-mortem talk, a look at what a game did well, or not so well, by the developers themselves. Little Inferno was a great little indie game for iOS, Mac and consoles that has you burning toys in a fire to earn coins. It’s a biting commentary on how we spend a lot of our time doing repetitive tasks for no reason, and a fun game to boot. Kyle Gray from Tomorrow Corporation came onstage today at GDC to talk about Little Inferno and the things the team did wrong. And right — the game sold more than a million copies, which is a huge deal for an indie game. What did they do wrong? They put the coolest content in the last 10 percent of the game. They overthought everything; it took two years to finish. Also, the game was too unique to easily talk about with consumers or the press. For such a simple game, said Gray, there’s a ton of innovative tech involved, which didn’t make development super-easy. 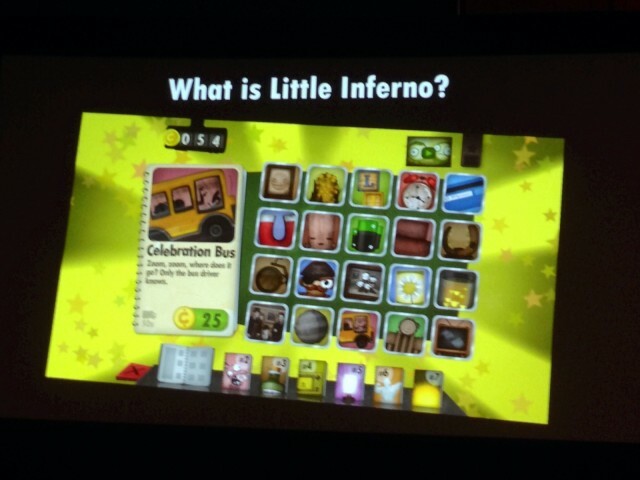 Still, Little Inferno did very well, and spread with word-of-mouth buzz – learning how these great games are made can be a fascinating way to understand the games we all love to play.